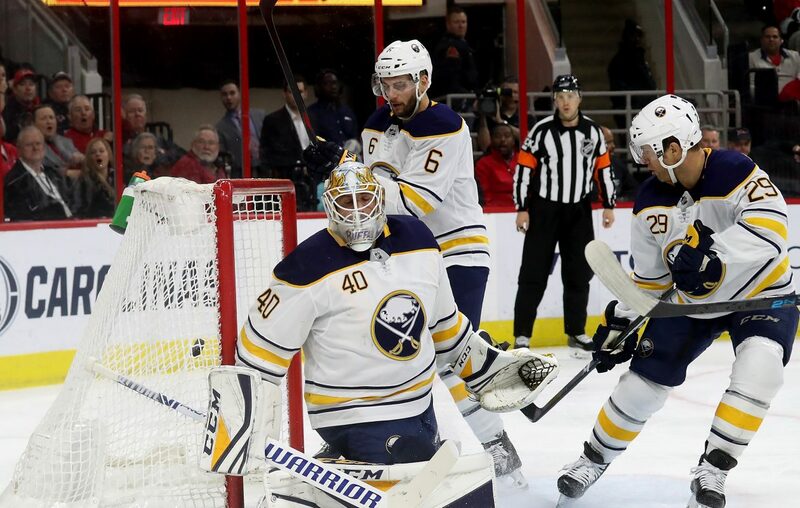 Three long months ago in November 2018, the Buffalo Sabres were in the midst of a franchise record-tying 10 winning streak. It was the most exciting time to be a fan of the team in recent memory and the Sabres made believers of us all by finding a new way to win every night. Sometimes they rallied, sometimes they held the course after blowing a lead, sometimes it was a see-saw battle. Regardless of the circumstances, every Sabres fan can agree on one thing: holy mackerel it was fun to watch. Phil Housley was the front runner for the Jack Adams Award for Coach of the Year during that stretch and Sabres fans were arguing his case vehemently. A second year head coach was leading a young and nascent team out on top of every game regardless of the powerhouse they were up against. Ted Nolan won the Jack Adams with Buffalo for this reason in 1997 and Lindy Ruff did as well in 2006. It seemed in November that Housley was on the fast track to do the same. But then the winning streak came to an end. Buffalo came crashing back to down to Earth after its first loss in 21 days, and it’s been a sad, sad return to reality ever since. Mike Harrington of The Buffalo News made a sobering and depressing observation in today’s paper: Buffalo has 11 wins since the streak ended. In other words, the team has one more win in three months than it did in a 21 day stretch. There is no way for even the most serpentine of car salesmen to put a positive spin on that. Since this has happened, fans have shifted from arguing Housley’s Jack Adams case to calling for his termination. And the reason is simpler than you think. Why are fans giving up on the Hall of Famer so quickly? Because the winning streak fooled us into believing the Sabres were a playoff team. My sincere apologies to anyone who still believes this, but Buffalo isn’t a playoff team. Right now the Sabres are exactly where they were projected to be, close but not quite. Considering this, Housley isn’t to blame because he’s doing exactly what he should be, leading a young team upwards. Though we’re all disappointed that Buffalo will likely miss the playoffs for the eighth year in a row, there’ no denying that this team is eons better than it was this time last year. We’ve forgotten this in the shuffle. The winning streak was amazing, don’t get me wrong. I loved every minute of it because the Sabres were electrifying for the first time in such a long, long while. But it wasn’t the rapid and sudden emergence of a Stanley Cup darkhorse, it was a middling team oceracheiving. It made us forget that the Sabres are a young team searching for an identity just as its coach searches for his. Some fans aren’t seeing this, however, and as a result Phil Housley is currently the most polarizing figure in Buffalo sports. I’ve lost track of how photos of Joel Quenneville I’ve seen “just left” on Twitter and its actually baffling how many fans are ignoring the facts and saying that Housley is killing this team. Pictured here scoring on his own net, Marco Scandella has been a disaster for the Sabres. His one true issue right now is his handling of the defense. Marco Scandella has continually been pushed into the lineup when frankly he doesn’t even deserve to be in the AHL with how he’s played. Nathan Beaulieu, who was one of the team’s most improved players in the first half, has been relegated to the press box over the past month while Matt Hunwick and Lawrence Pilut have succeeded in nothing but turning the puck over. The team’s defense has been reminiscent of last season for the past month and Housley can rightly be blamed for that, but that’s about it. The rest of the team’s problems stem mainly from a lack of secondary scoring due to underwhelming performances from a few players. GM Jason Botterill is largely to blame for this, and it’s not even entirely his fault when you think of it. The Ryan O’Reilly trade was a mistake at this point in time, I think it’s tough for anyone to still deny. The blockbuster was designed to bolster the Sabres in the future whilst at the same time not crippling them in the present. Patrik Berglund and Vladimir Sobotka were envisioned to reinvigorate the team’s third and fourth lines and take pressure off of Jack Eichel and Sam Reinhart. That hasn’t happened in the slightest. We all know what happened with Berglund, and Sobotka’s goal last night (a tip in after Zemgus Girgensons did quite literally everything else) was his first in 43 games (no that’s not a typo). Meanwhile, Casey Mittelstadt and part of the return package Tage Thompson have been rushed into roles that neither were ready for in order to make up for it. Both players were not NHL caliber at the beginning of the season but have been forced to suffer through unnecessary growing pains instead of learning and growing in Rochester. That much is on Botterill. Though Thompson has great potential and the team still has the first round pick at its disposal, the ROR trade hasn’t worked out in the short term at all. O’Reilly is currently leading the Blues back into the playoffs after they were near the bottom of the NHL at New Year’s, a slap in the face to anyone who was labeling him a cancer in the locker room. 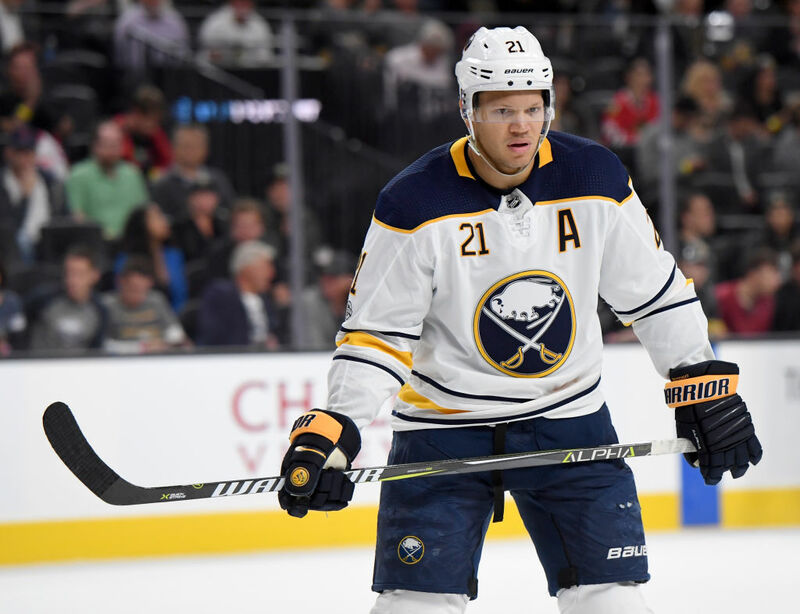 The trade wasn’t necessary and the team would be undeniably better off right now had it just forced O’Reilly and Eichel to resolve their alleged differences. Kyle Okposo’s future in the NHL is in limbo after he sustained yet another head injury last Friday. It also doesn’t help that Kyle Okposo is having the worst season of his career. Considering he’s taking up $6 million a year on the salary cap, the team needs far more from a veteran leader. None of this really matters right now though seeing Okposo’s career may be in jeopardy after he sustained his third concussion in three years last Friday night. I have nothing but respect for Okposo and I hope he gets better very soon. Forget hockey, the guy has a family to be around for. It’s tough to blame this season’s woes on Housley when you consider all this, and it’s tough to blame Botterill too. Both of them have one strike against them, yes, but beyond that both are doing terrific jobs. The Sabres simply still have a ways to go before becoming a threat again. Buffalo’s roster still requires some purging and Botterill has until Monday’s trade deadline to get it started. Since St. Louis has climbed back into the race, Buffalo is likely to have three first round picks in the 2019 NHL Draft. Botterill needs to use that to his advantage and make a move that will have a positive, and immediate impact. Though the Sabres aren’t out of the race, they’ll be in the basement soon if they keep playing like they have been since January 1. But that doesn’t mean hitting the reset button once again is the solution. Anyone out there who thinks that Joel Quenneville will instantly turn this team around clearly has forgotten that we said the exact same thing about that Bylsma guy. Phil Housley is the right man for the Sabres, and though this season may be lost, his job is safe.